AirAsia Just Launched its Manila to Osaka Route! Reason 654,938 to go to Japan! Planning to go to Japan anytime soon? AirAsia’s latest offering will surely make you want to book your tickets stat! The low-cost airline recently announced the launch of their first-ever Manila to Osaka route, which will have daily flight schedules starting on July 1, 2019. AirAsia Philippines President and CEO Dexter Comendador said, “Being able to travel directly and affordably to Osaka is fantastic news for Filipinos and we’re confident this new route will serve as a gateway for guests to connect to other popular destinations in Japan such as Kyoto and Nara. 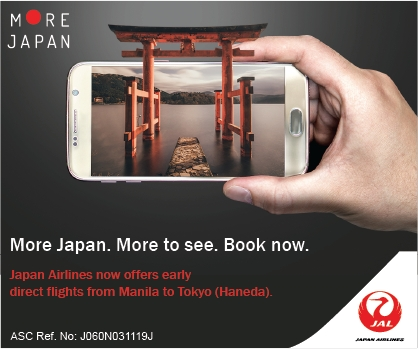 For the launch of its newest route, AirAsia is offering an all-in promotional fare for the Manila-Osaka route starting at 1,990* pesos, valid for booking from March 29 to April 7, 2019, with a travel period of July to October. Flights bound to Osaka will leave Ninoy Aquino International Airport at 8:30 AM daily and will arrive at Kansai International Airport at 1:15 PM. Flights bound to Manila will leave Osaka at 1:50 PM and will arrive at 4:55 PM. AirAsia also flies to 13 international destinations from Manila, including Kuala Lumpur, Kota Kinabalu, Bangkok, Bali, Seoul, Taipei, Kaohsiung, Shanghai, Guangzhou, Shenzhen, Hong Kong, Macau and Ho Chi Minh City. For more information, visit AirAsia’s website and follow them on Facebook, Instagram, and Twitter. * Promotional all-in-fares quoted are for one-way travel only inclusive of taxes and fees. Fares shown are for BIG members only. Terms and conditions apply.